We can't wait for you to visit us in beautiful Navarre Beach. Below are some resources to help you get around and learn the area. From driving directions right to our office to airport information and a neighborhood map. 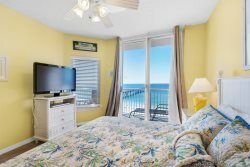 Guests have a few options when flying to Navarre Beach Florida, nearby airports include, Pensacola International Airport (PNS) approximately 55 minutes, 28 miles away from Navarre Beach and Destin Fort Walton Beach Airport (VPS) approximately 43 minutes, 29 miles away from Navarre Beach. 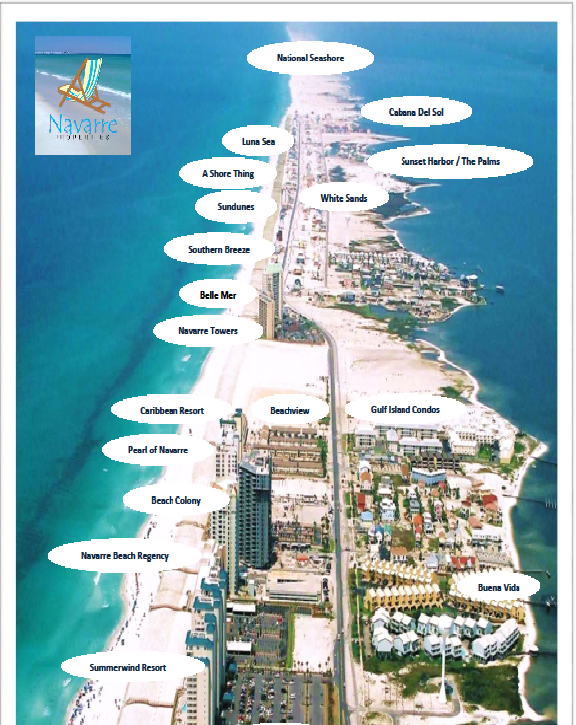 Your Navarre Beach vacation rental will be located along Gulf Boulevard (the same road the office is located). Use the map below to find your condominium or house neighborhood and start getting familiar with the area!